Barney Roy (3c Excelebration-Alina, by Galileo) lit up day one of Royal Ascot with a game one-length victory in the feature G1 St James’s Palace Stakes on Tuesday. 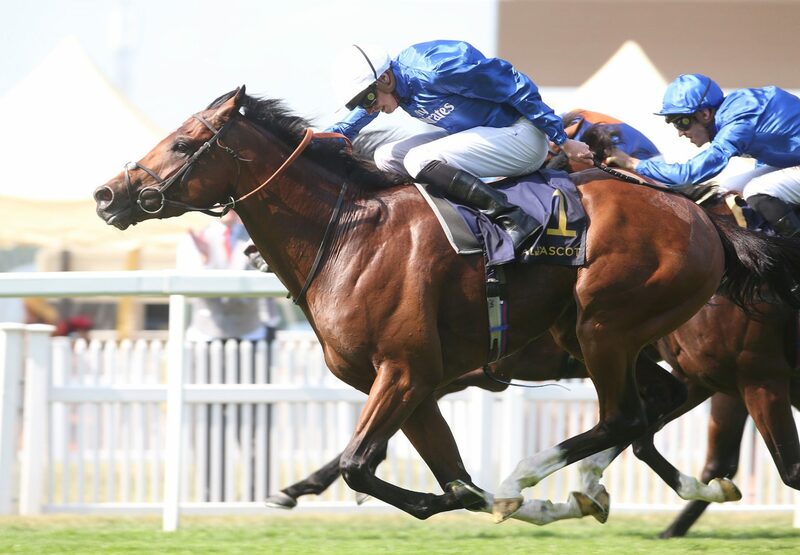 Doyle was confident coming into the race that Barney Roy would improve for the experience gleaned from his G1 2,000 Guineas second, and he was pleased with the colt's performance, who also broke the track record in a time of 1.37.22s. Doyle said: "That is only the fourth run of his life and he is still learning. In my mind, I just wanted to give him plenty of time to pick up and allow for that inexperience to kick in and he straightened up well and galloped all the way to the line. "He has learnt a lot from the 2,000 Guineas. We've done a few bits with him at home. I sat on him a couple of weeks ago at the Hannons and then we took him to Kempton, more for the experience really. "He is very babyish, but he is learning all the time and he has come out on top at the line. I knew that given a bit of time and some room, he would be motoring and he proved that today. It was a great moment for trainer Richard Hannon, who reflected: “I was frustrated after the Guineas because he was a little inexperienced - that was what beat him. “I felt that a flatter track here, without any undulations, would play to his strengths. James came down and rode him around a right-hand bend at Kempton last week, and he worked brilliantly on Sunday, and it's all paid off. "I'm sure our horse will get further - he's in the G1 Eclipse Stakes [10 furlongs] and the Arc [12 furlongs] - he takes time to pick up and he's very relaxed. Barney Roy was bred by Eliza Park International out of the Galileo mare Alina.